How many things could Susan have been called? Rice-I-roni…get it? Rice Irony? Rice Crispy. When it was discovered that Rice unmasked the Trump team, her goose was cooked! Thus, Fried Rice applied as well, though that might imply that she was Asian. If we go ethnic, then Brown Rice certainly would be appropriate. Nevertheless, Rice was given a nickname, actually more a title from Medal of Honor recipient Dakota Meyer on “Fox & Friends” on over the weekend. Meyer’s scathing remarks came after America learned that despite Rice’s claim to the contrary, the Obama administration knew that Syrian President Bashar al-Assad still possessed chemical weapons. The claim proves now to be almost certainly false. Meyer said of Rice. Considering that Obama declared Syria “chemical-weapon-free,” what are we to think of the Iran nuclear deal? And what about deals not necessarily dealing with national security but just as important. Like TPP. Like the Trans-Pacific Partnership. Even Hillary Clinton disagreed with Obama on this one. We all know what President Trump thinks of it. We chronicled recently that China now realizes that they can no longer take advantage of America in Trade. Because now America has a real president. In short, there is NO deal that Obama negotiated on behalf of America that has benefited this country or its citizens. 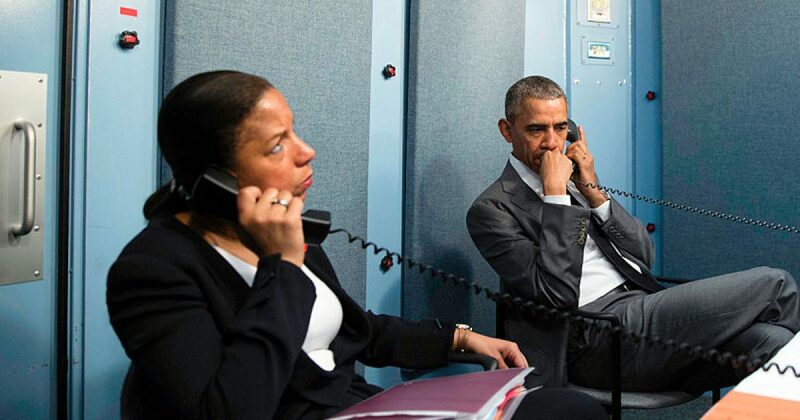 And Rice-I-Roni stood ready to lie on behalf of Obama at a moment’s notice.